South African-born Australian singer Troye Sivan has teamed up with Ariana Grande for his upcoming album. The 'My My My' hitmaker recently told BBC Radio 1’s Nick Grimshaw about the collaboration. "I've got at least one feature on the album and I'm so so so excited about it. First of all, I just love the song, second of all I just love the person so much and I was so gagged when I got it and we made it happen. The thing is as well when I got the vocal back it sounded exactly like I thought it would and I was so happy." 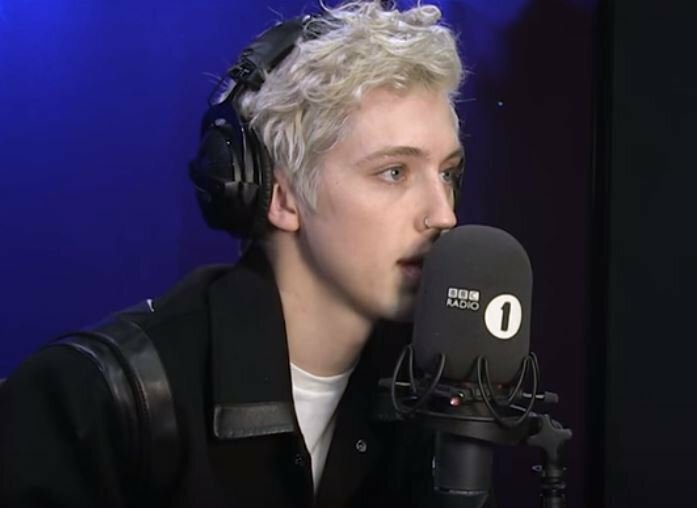 When asked who the feature was, Troye responded "I haven't told anybody yet. But I want you to know this was not a planned announcement, but I feel like telling you. It's Ariana Grande," he announced. "So her and I are actually like friends. We met for the first time two years ago and we just kept in touch. She is really fun. We were hanging out and I was playing her music and we just went into studio and I was like "would you ever sing on this one song?" and she was like "please this is gonna be really fun". So she just did and it sounds exactly like I dreamt it would. Her voice is nuts,” he said. Fans can look forward to the album in a couple of months. "I don't know exactly when cos it's not a 100% finished yet. It's like 95% done. I'm mixing it. But within a few months for sure," he told Grimshaw. The 22-year-old also shared the news on Twitter over the weekend. "Yes!!! The rumours are trumours!! @arianagrande is my pop queen and i can’t wait for you guys to hear our song" he tweeted.